“What would be the cut-off marks for NIACL AO (Generalists) recruitment 2017 ? What would be the cut-off for Punjab state in NIACL AO recruitment 2017 ? What would be the cut-off for Maharashtra in NIACL AO recruitment 2017 ? 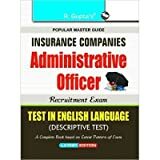 The New India Assurance Company Ltd (NIACL) will conduct an online competitive examination for recruitment to the post of AO (Generalists) Scale I exam every year. The selection process for NIACL AO (Generalists) Scale I will consist of on-line test (Preliminary & Main Examination).Candidates qualifying in the Main Examination will be further shortlisted for Interview before the final selection. Here in the below table we have listed cut-off marks for NIACL AO (Generalists) Scale I exam 2017.